The National Low Income Housing Coalition’s most recent Gap report indicates a national shortage of more than seven million affordable homes available to extremely low income (ELI) renter households, those with income of no more than 30% of their area median income (AMI). Unable to find affordable housing, ELI renters account for 7.8 million or 68% of the nation’s 11.4 million renter households who spend more than half of their income on housing. Meanwhile, fewer than half of new rental homes supported by federal housing subsidies on which developers most often rely – including the Low Income Housing Tax Credit (LIHTC), HOME Investment Partnerships Program (HOME), and the Federal Home Loan Bank’s Affordable Housing Program (AHP) – reach these households. This year marks the first distribution of money from the national Housing Trust Fund (HTF), a program created to focus specifically on the housing needs of the lowest income renters. Funded by mandated contributions from Fannie Mae and Freddie Mac, at least 90% of HTF funds must be used for rental housing and at least 75% of funds for rental housing must benefit ELI households. All HTF money must benefit ELI households while the HTF is capitalized under $1 billion a year. The first year’s distribution of $174 million is small in comparison to the need, but is an important step forward in helping the nation’s lowest income renters find affordable housing. Successful implementation of the program in its first year will ensure in the future that the HTF truly serves the population it was intended to serve to the greatest extent possible. A potential challenge that state advocates and other stakeholders are working to address is the possibility that renters whose income is at 30% of AMI may be cost burdened, spending more than 30% of their income on housing, even if they live in an HTF supported rental home. The Housing and Economic Recovery Act of 2008 modified the definition of ELI for the national HTF to include households whose income is no greater than the federal poverty guideline or 30% of AMI, whichever is higher. The change broadened eligibility for the HTF to households who live in poverty, but whose income is greater than 30% of AMI. HUD’s HTF interim rule went a step further and applied the same criteria to set maximum rents at 30% of either the federal poverty guideline or 30% of AMI, whichever is higher. Wherever the federal poverty guideline is higher, renters with household income at 30% of AMI will be cost burdened by the maximum rent. Table 1 shows the HTF maximum rent standard by apartment size across metropolitan and non-metropolitan counties. Maximum rents are set at 30% of the federal poverty guideline in 61% and 92% of counties for one-bedroom and two-bedroom apartments, respectively. The vast majority of metropolitan and non-metropolitan counties alike have maximum rents based on the federal poverty guideline for apartments larger than one bedroom. a. Includes county portions in New England, where multiple maximum rents can exist within the same county. b. Includes counties where rents at 30% of 30% of AMI or 30% of federal poverty guideline are equal. To illustrate the challenge, we calculated the potential cost burden for a 3-person family with income at 30% of AMI in each county at the maximum HTF rent for a two-bedroom apartment. They are available at http://nlihc.org/sites/default/files/State-Tables_081516.xlsx. In the median county where the maximum rent is based on the federal poverty guideline, a family of this size and income could spend 38.3% of their income on rent. In the worst cases, it would be 52.1%. The poorest counties, where the federal poverty guideline is much higher than 30% of AMI, will have the highest potential cost burdens. Cost burdened households have difficulty affording other basic necessities such as food, transportation, and health care and are at greater risk of housing instability if they experience a sudden financial crisis. Table 2 presents a sample budget for a 3-person family with income at 30% of AMI in Orange County, FL. A two-bedroom apartment priced at the maximum HTF rent, based on the federal poverty guideline, would take 38.3% of the family’s income. Even after receiving the maximum benefit from the Supplemental Nutrition Assistance Program (SNAP), the family would be unable to meet all of their expenses without additional assistance. *Based on USDA Thrifty Food Plan estimates in May 2016 for a single female head of household between the ages of 19-50 with two children aged 6-8. **Cost of transportation for family of 3 (1 adult, 2 children) in Orlando-Kissimmee-Sanford, FL MSA retrieved from Economic Policy Institute Family Budget Calculator (2015). *** Cost of health care for family of 3 (1 adult, 2 children) in Orlando-Kissimmee-Sanford, FL MSA retrieved from Economic Policy Institute Family Budget Calculator (2015). The national HTF is an important new resource in addressing the housing needs of the nation’s poorest renters. While rents affordable to households at 30%, 20%, or even 15% of AMI are challenging to achieve given development and operating costs, developers and stakeholders across the country are finding creative ways achieve them. 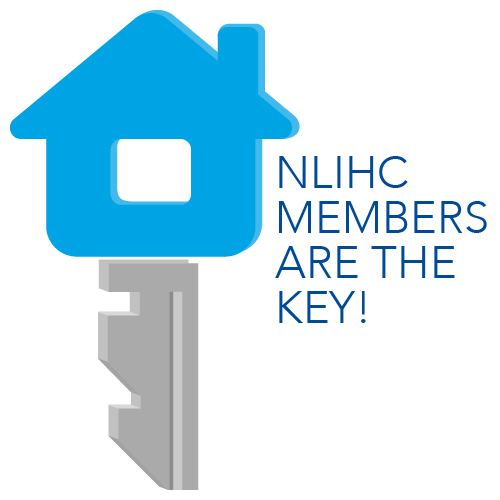 NLIHC organized a webinar that recently attracted almost 1,000 registrants to discuss how to finance and operate ELI housing. We encourage advocates to use these and other tools to continue pressing to reward rents targeted to the lowest income households in their states HTF allocation plans. In these ways, we can assure that the national HTF meets the needs of the lowest income renters. This definition for ELI was applied to other HUD programs in the Consolidated Appropriations Act of 2014. Includes county portions in New England, where multiple maximum rents can exist within the same county. Approximately 10% of the 460,000 students in the California State University (CSU) system experience homelessness, according to “Serving Displaced and Food Insecure Students in the CSU,” a study published in January by researchers at CSU Long Beach under the direction of Dr. Rashida Crutchfield. The study sheds light on an issue that remains largely unreported and unaddressed in the nation’s public universities. The report also found that between 21% and 24% of students experience food insecurity. Facing uncertainty in their living conditions, students afflicted by homelessness reported managing incredible stress while having to balance the demands of schoolwork. “I feel like once I get my Bachelor’s under my belt, I can just keep moving forward. Inside I think I’m falling apart,” said one respondent quoted in the report. Students considered homeless in the study included those who lack a fixed, regular and adequate nighttime residence, as defined by the McKinney-Vento Act, and those who were “doubled-up” or living as a temporary guest in another’s home. Schools have only begun to address the issue, and just one CSU campus out of 23 has a program to support all students experiencing housing instability. About half of all faculty and staff surveyed said they needed more information about how to appropriately support students facing homelessness and food insecurity. A lack of information can have direct consequences for affected students—one respondent disclosed to residential staff that she had nowhere to stay when the dorms closed, but was told that it would be “unfair” for her to remain there once all the students left. Only Chico State University provides campus housing to foster youth during holiday breaks. According to the survey, local cost of living and limited dorm availability were the main challenges to students without fixed and regular housing. Thus, off-campus housing development efforts and policy changes will play an important role in serving their needs. The Affordable Housing Credit Improvement Act of 2016 (S. 3237), a bill that would expand and reform the Low Income Housing Tax Credit (Housing Credit), includes a provision that would qualify homeless students and foster youth for housing built under the tax credit. When the Housing Credit was created, legislators excluded most students from qualifying for program housing so that funding would not be used to construct dormitories. S. 3237 would broaden the list of exceptions to this rule, allowing for current or former foster care students, unaccompanied or homeless youth or emancipated minors. The bipartisan bill was introduced July 14 by Senators Maria Cantwell (D-WA) and Orrin Hatch (R-UT). In California, there are over 281,000 apartments financed with Housing Credits that are dedicated to low income families. Baring homeless students from accessing this critical source of housing only makes the problem worse by making it more difficult for these students to pursue academic opportunities. Community Housing Partnership (CHP), a San Francisco-based supportive housing developer and National Low Income Housing Coalition member, has led an awareness campaign to highlight the legal restrictions facing formerly homeless youth in Housing Credit-financed housing. Michael, who lives in one of CHP’s youth residences, realized he had to choose between attending college full-time and remaining in his apartment. “I felt very disappointed. As a part-time student, I wasn’t eligible for the financial aid I needed, and realized it would take me over ten years to finish,” he said. Efforts to expand student eligibility for Housing Credit housing have been the focus of numerous pieces of legislation over the past decade. Last year, Senators Al Franken (D-MN) and Rob Portman (R-OH) introduced the Housing for Homeless Students Act of 2015 (S. 1412), which proposed modifying the program’s rules to qualify homeless and formerly homeless full-time students for subsidized housing. The Affordable Housing Credit Improvement Act of 2016 builds on these efforts and further expands student eligibility. Under these proposals, homeless students would gain access to affordable housing, while current occupants of Housing Credit developments would gain access to greater educational opportunities. Click here to find contact information for your Senators. Contact them to urge support of S. 3237. If you have questions, please feel free to contact Joey Lindstrom at jlindstrom@nlihc.org. Emily Badger’s article in the Washington Post (“New housing in low-income areas yields less displacement”, February 16), based on a study by the California Legislative Analyst’s Office, leads readers to believe new market-rate apartments are the solution to the severe shortage of housing for the nation’s poor. The study Badger cites may make a compelling case for reducing barriers to housing in high cost areas with significant development constraints, but it does not support the assertion that building apartments for the rich is a better solution to meet the housing needs of the poor than building affordable housing. As the theory goes, construction of market-rate apartments, even luxury ones, lowers prices for everyone. Households with sufficient income move into the new housing, making available their previous and older housing to other households, who in turn leave behind even older units, and so on. Eventually this results in increasing the availability of the oldest (and lowest cost) units to low income renters. However, this “trickle-down” approach fails to meet the needs of extremely low income renters, who earn no more than 30% of the area median income. The California study pointed out that high-end housing produced in the early 1980s had dropped in relative price to the middle of the market today as evidence that older housing becomes more affordable over time. But this does not indicate an actual increase in the affordable housing supply for extremely low income renters (or even moderate income renters). A more important question is what has been the net gain in affordable housing units, taking into account the number of affordable units permanently lost during the same time period. Older housing never becomes cheap enough for extremely low income renters. The national average of what a 4-person extremely low income household can afford in rent without experiencing a cost burden is $509. In the San Francisco region, where wages and also housing costs are higher, the most these renters can afford is $764. At these rents, owners are likely to redevelop the property for higher income renters. In weak housing markets, owners are likely to abandon the property when rent revenues do not cover the cost of adequately maintaining the property. The Joint Center for Housing Studies at Harvard found that the national gain in lowest cost, private-market rental units from 2003 to 2013 through filtering (older units becoming affordable) was matched by an almost equal number permanently lost. Some argue that Housing Choice Vouchers combined with filtering are the solution to the housing needs of extremely low income renters. Voucher recipients contribute 30% of their income to the cost of their housing, and the voucher provides assistance for the rest, up to the local housing authority’s payment standard. At best, vouchers provide recipients with the means to afford quality housing in a location of their choice, making them an important component of affordable housing policy. Vouchers are the policy of choice in markets with excess housing supply, but unattainable prices to the poorest renters. Vouchers are more difficult to utilize in tight, high demand housing markets. The payment standard for vouchers is approximately the Fair Market Rent, set at 40% to 50% of the region’s highest rent, constraining recipients to lower quality housing in neighborhoods and localities with lower housing costs. This assumes they are able to actually use the vouchers. News reports from California point out the difficulty voucher holders face in finding housing in tight markets where rents are higher than the payment standard. And low vacancy rates allow landlords to turn down voucher holders in favor of unassisted renters. New construction of market-rate units may put downward pressure on prices in a tight market, but how soon does this new construction result in greater availability of moderately priced units for voucher holders? The California study highlighted that it took 25 years for new high-end apartments to filter down to the middle of the market. The shortage of housing however is a problem today for millions of extremely low income renters and homeless individuals and families. Housing production for extremely low income renters is a necessary third approach. The ‘balance’ we often hear in housing discussions gives too little attention to the challenges faced by these renters, for whom there is a national shortage of 7.2 million housing units. Filtering does little to address their needs. Vouchers are difficult to utilize in high demand markets. Housing production is needed. Many of our productive affordable housing programs today however allow rents that are far higher than what an extremely low income renter can afford to pay. For the first time, the National Housing Trust Fund will distribute funds to the States for extremely low income housing this coming summer, another piece to the puzzle in how to meet our nation’s housing needs. The Technical Assistance Collaborative and the National Low Income Housing Coalition, are identifying ways in which the money can be best used. And if we target more housing expenditures on housing for the households with the greatest need, the 7.2 million gap would likely decline.